Mold tends to appear in somewhat small amounts in fairly concentrated areas. If you find mold in your home or if you suspect mold might be present, you may be tempted to remove it yourself. You need a professional to perform a thorough and safe removal of the mold. Those who remove mold for a living know all the ins and outs of how to safely remove it. These mold aficionados know all the mistakes that have been made in the past in DIY mold removal projects. This knowledge base is necessary to perform a full mold removal that does not damage the work crew, you or your loved ones. It does not matter how extensive your mold problem is or where the mold is located. Our mold removal specialists will pinpoint the visible and hidden mold as well as dormant spores. We will destroy black mold quickly and efficiently with specialized equipment. This effort is not only focused on the mold itself but the source of the mold. In fact, the mold experts can even make use of special products to slow or even prevent mold development in potential problem areas. In the vast majority of instances, attempting to remove mold on your own will prove unsuccessful. If you have a very small collection of mold in a space that can be reached with ease, you might be tempted to clean it on your own. In such an instance of minor mold growth, a DIY attempt has the chance to suffice. However, you probably have no idea how to safely remove mold, what the best cleaning solutions are, the proper clothes/gear to wear and the other subtleties of this project. This is precisely why most people reach out to our mold experts. 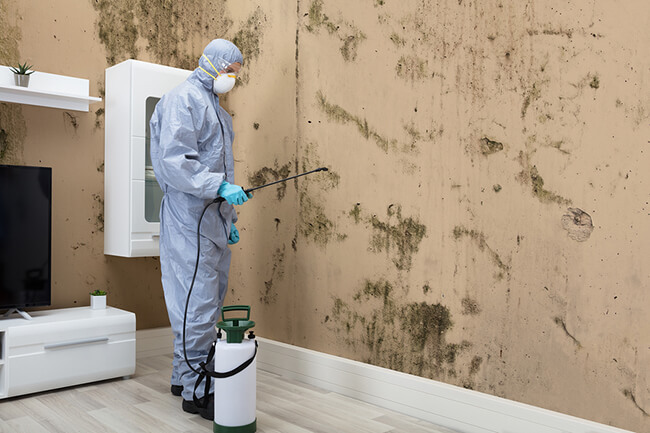 Do not repeat the mistakes of countless homeowners and apartment tenants who have attempted to clean mold only to spread it throughout the living space. Let our mold specialists eliminate your mold problem. You won’t have to worry about whether you or your loved ones are breathing in toxic mold as you shower, do laundry in the basement, or wash the dishes in the kitchen. Alternatively, if you attempt a DIY clean, mold spores might spread due to a flawed cleaning approach and reproduce along the walls, counters, wood trim and beyond. These spores could spur allergic reactions, respiratory issues and at the very least do damage to your carpet/drywall. Another reason to rely on the experts for mold removal is to pick the brains of our mold removal experts. You will undoubtedly have all sorts of questions and concerns about mold. Our team is ready and willing to tell you everything there is to know about mold. Our mission is not only to remove mold from your living space but to arm you with the knowledge necessary to understand this threat and mitigate it in the future. 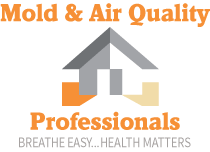 Once you know mold is in your home, you will have an important decision to make: let the professionals do the job or risk a DIY attempt that is not guaranteed to work.The best decision is to call Mold & Air Quality Professionals and be done with the problem in little time. Those in northwest Ohio and southeast Michigan can reach us by dialing (734) 755-3457. Those who live in Northwest, central or lower Michigan can contact us by dialing (231) 679-2622.